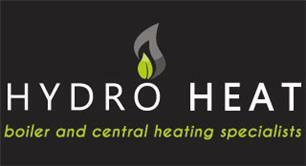 HydroHeat Plumbing - Central Heating Engineer, Plumber based in Coventry, West Midlands. Hi, thanks for taking the time to view our profile, my name's Jamie and I'm the owner of Hydroheat. Hidden in this text is a discount code, if you find it and quote the code you will be given a discount on the final bill, I know sitting and reading every profile would take forever but I really want you to get a feel for who we are and what stand for, you might not feel need to look elsewhere for anyone else. What I'm about to share with you is something that I am extremely passionate about (as the owner of the business you would kind of expect that) but the thing that makes me feel really proud is that I know everyone within the team feels the exact same way. We're extremely passionate about making sure our customers are taken care of and we want to build an ongoing relationship that should last forever, we know that the only way to achieve this is by being honest, reliable, trustworthy and last, but not least important, good at what we do! We're the sort of company that believes in integrity, if we say we're going to be there, we'll be there. If you think you need a new boiler but we know it's an easy fix, we'll fix it! We'd rather build a trusting relationship than try and make a quick book. We believe in transparency and keep our pricing crystal clear, we will never charge you any extra without discussing the extra costs with you first, so you'll never be in for a surprise. When it comes to boilers and central heating we really know our stuff but if there's something we don't know then we'll make it our job to find out, we'd rather be sure and get things done first time. I'm not going to promise you that everything always goes to plan, let's face it, the world we live in isn't perfect and we're talking boilers and central heating systems here, but I can promise you that if anything didn't go to plan, we will stand with you and support and make it our personal duty to get you back up and running again as quickly and smoothly as possible. If you want to learn more about the services we offer then here's a few links to our website but before you go there, thanks for taking the time to read the text, your discount reference number is "Checkatrade HHP", when you call us just quote that reference and you'll be rewarded with a discount on your first job. So as I was saying, here's a few links to our website where you should find everything you need. But if your boiler has broken down and you need a boiler repair then you might want to hit that one. We obviously take care of everything else to do with plumbing and heating, we're really good at all aspects, so if there was something else you needed please feel free to get in touch.